I stumbled across this marker while exploring the Church Street Marketplace during the second day of our F@ll 2017 trip through New England. This marker is located at 152 Pearl Street, Burlington, Vermont. 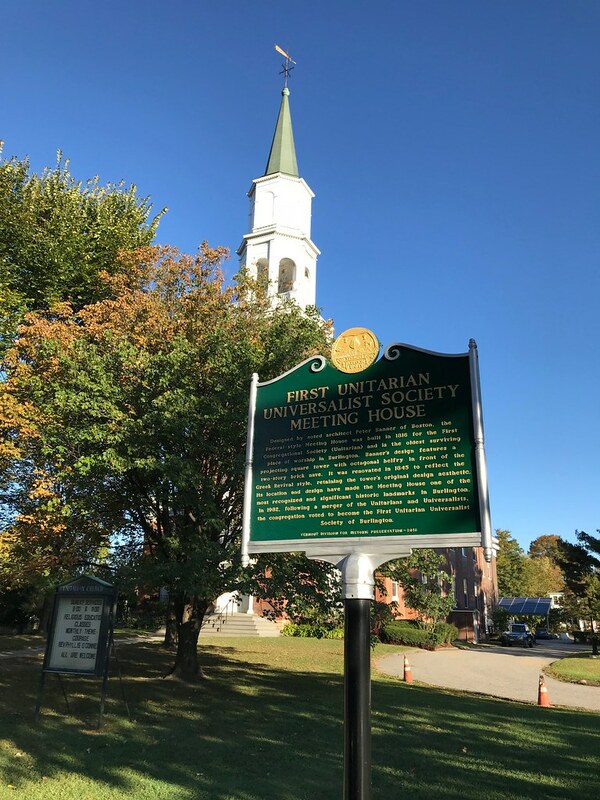 The GPS coordinates for this location are 44° 28' 50.0" N 73° 12' 45.3" W.
Designed by noted architect Peter Banner of Boston, the Federal-style Meeting House was built in 1816 for the First Congregational Society (Unitarian) and is the oldest surviving place of worship in Burlington. Banners design features a projecting square tower with octagonal belfry in front of the two-story brick nave. It was renovated in 1845 to reflect the Greek Revival style, retaining the towers original design aesthetic. Its location and design have made the Meeting House one of the most recognized and significant historic landmarks in Burlington. 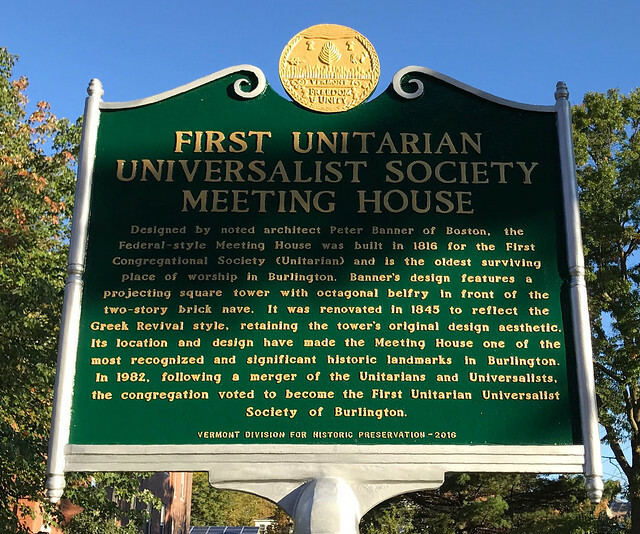 In 1982, following a merger of the Unitarians and Universalists, the congregation voted to become the First Unitarian Universalist Society of Burlington.